pARTy@PdA: Palette . . . eat, paint, create! Palette . . . eat, paint, create is an evening to inspire the artist in everyone! In the comfortable setting of Place des Arts’ Leonore Peyton Salon, yummy complimentary appetizers and a glass of wine will get you primed to unleash your inner artist. 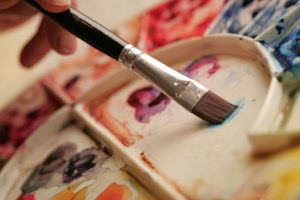 In a social and relaxed environment, come have some fun with paint and get creative! Art supplies and food included | cash bar.